Gosh, that was quite a week, almost as though it was December and there’s quite a lot going on. Apologies for the slight delay in posting this week, did the Bermondsey Mile yesterday and was a bit, um, tired when I got in! Me and Ben from Beer Advent Calendar (the original and best) will be down The Rake for my sponsored day of this year’s calendar. It was only after planning this that we realised Sierra Nevada are there doing a Tap Takeover as well! Mother Kelly’s in Bethnal Green (clearly, far and away, my favourite new bar/pub/beer seller of the year) are having a quiet little launch for some interesting sounding Czech lager. Hammerton are having a do at the Perseverance on Lamb’s Conduit Street (which seems to have become a brewpub when I wasn’t watching!!!). Top Tottenham action at Craving Coffee with a Beavertown Meet The Brewer. Clapton Craft have a beavertown tap takeover all weekend, so get your growlers out etc. Fun down in Bermondsey as Anspach & Hobday, Bullfinch and Moncada have a breakfast stout off and Bottle Shop have their Christmas Party a few doors down. Further south Gypsy Hill are also having festive party. 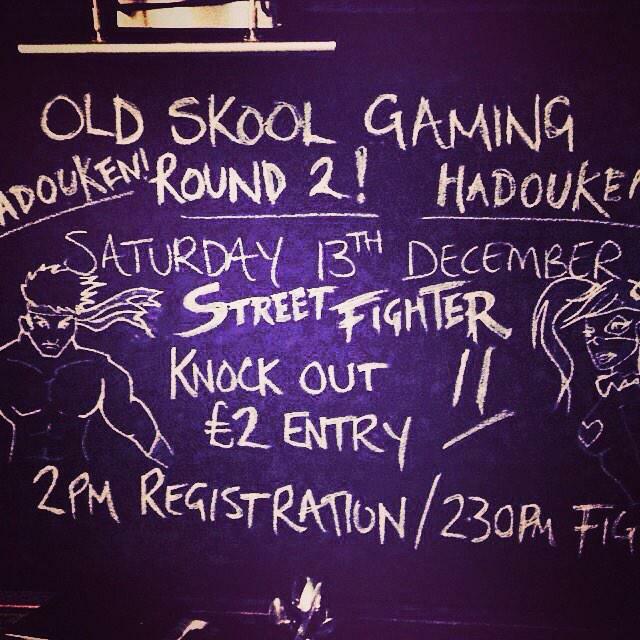 And, although this isn’t really a beery event, I couldn’t not mention that the Three Compasses in Dalston are having a Streetfighter Knockout Tournament!!! Hopefully, despite us heading into full-on Amateur Season, we’ll still have plenty of things going on, but suspect it might tail off a bit, let me know otherwise!